"Agriculture Minister William Newman was on hand last Wednesday with cattle owner John Devins for a special service. The men were celebrating the first time an imported breed of cattle has been sent back to its country of origin. 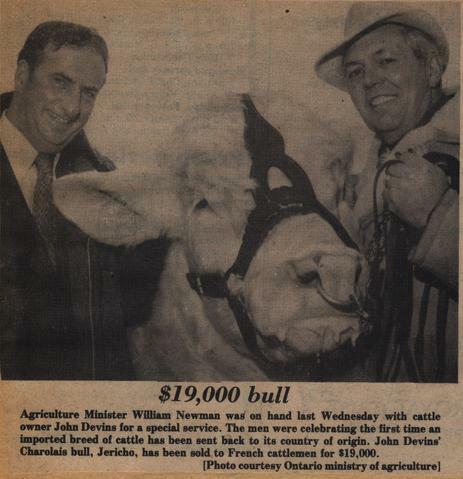 John Devins' Charolais bull, Jericho, has been sold to French cattlemen for $19,000."